Welcome to Industrial ProSoft Solutions! By combining the best selection of various software products with the latest communication and networking technologies, Industrial ProSoft Solutions provides industrial automation Software solutions that result in better integrated systems and empowerment of your people. 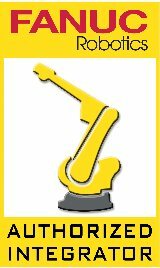 We are experts in the design and implementation of process monitoring, control, robotics, and machine vision systems. Our experience in dozens of factory environments solving a wide variety of production challenges, positions us to apply the best practices and most effective automation, control and vision solutions to your specific requirements. We deliver unique and detailed expertise in detecting problems before they surface, before they lead to emergency downtime or unscheduled outages, and before they threaten the productivity and profitability of your operation. Click on the Image Above to Open a Link to the companies website. Recent Electrical Control Panels Installed, UL 508A certified, contact us for a quote on your next panel build!